Welcome to the website of the cultural association Mitakuye Oyasin (literally translated "all my relatives" or more freely "everything is related"). 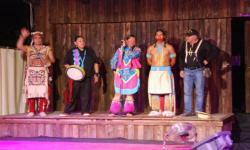 Our association has been operating in Italy for years for enhancing Native American culture in respect to authenticity through exhibitions, conferences, meetings and workshops, but mostly through the annual event "Indian Village" where the protagonists are the Native Americans (from the United States and Canada). Indian Village is a place of exchange between American and European culture, which culturally enriches both sides. 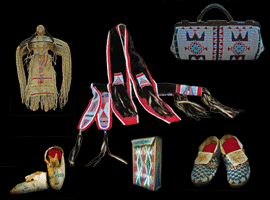 The deep tradition of native culture is told through dance, music and story telling. The Indian Village promotes cultural programs with the use of arts and shows in respond to educational needs. Buy an item as a way to support non-profit cultural initiatives of our association. The funds derived from the sale of the products are giving to the artists who make the arts and crafts.